I made a donation via bitcoin however i have not received any invite to create tracker account , could you please help with this. Hi mate, yeah we saw the donation but as you never contacted us on the email we have specified for this there was no way of sending any invite. Now that you have contacted us I will sort you out. I will contact you in a private message. Your invite has been sent to the email specified and you should be able to register without problems now. Thanks for quick response , i have registered now. 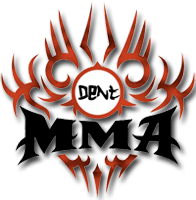 i did send email to contact@mma-torrents.com , maybe i should have emailed to a different address , apologies for confusion. It looks like the email never reached us for some unknown reason. The email is correct and usually all email comes through fine. In all cases Im glad you contacted us here. Your account will be upgraded according to the donation you made now.